Stella Blue Designs is a hidden boutique gem in the Southport neighborhood of the city. The shop features beautiful handmade jewelry inspired by nature and crafted with care. Owner Angie Gianfrancesco has a knack for translating an idea into artful reality. She enjoys reinventing old jewelry pieces into brand new treasures. Also, she is happy to do custom work for any occasion. Go see the unique and often whimsical earrings and the simple yet stunning bracelets of various designs and gems in the shop. Also, Stella Blue Designs carries a carefully curated collection of surprising vintage heirlooms. They date from the Victorian era to the quirky styles of the 1970s. Midway Jewelry opened its doors over 40 years ago. Since then, it has delivered the best in neighborly customer service and affordable fine jewelry. Owner Dianne Johnson enjoys a reputation for being the city’s expert in jewelry and watch repair. She cheerfully handles everything from the smallest details like cleaning and polishing to major restorations. 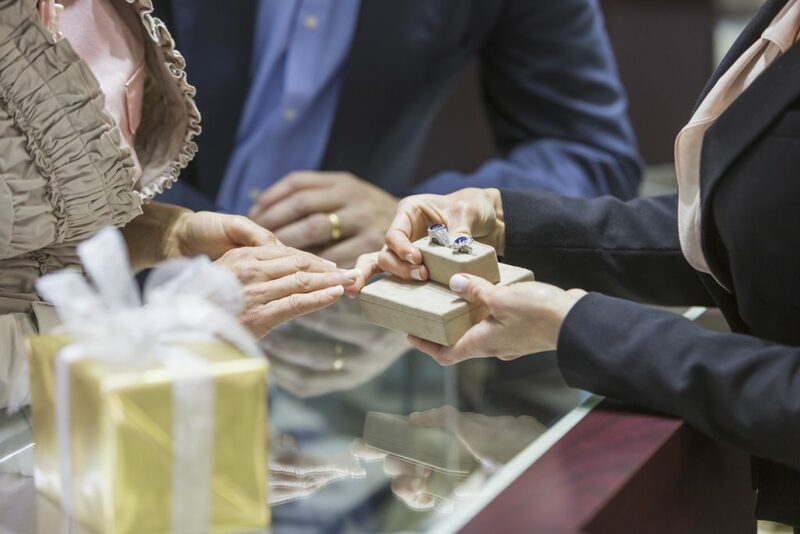 Midway Jewelry is the perfect destination for no-pressure, stress-free jewelry shopping. Dianne goes out of her way to help you find the ideal engagement ring or the birthstone gem you always wanted. Sailor is more than a jewelry store. The Ravenswood community boutique only opened in 2017 but has already garnered a loyal customer base. Owner Sara McGuire is a successful jewelry designer whose collections are sold in over 80 stores across America. She wanted her corner shop to be a welcoming space where she could share the art she loves. Sailor’s jewelry is exquisitely unique with fine craftsmanship and detail. Sara likes to mix metals and her favorite combination is 18-karat gold and blackened oxidized silver. The result is stunning in its contrast. Sailor also showcases a distinctive selection of art objects, textiles, and enamel work. The collection represents renowned creatives and designers from all over the world. So come see the beautiful jewelry and the unique art collection. Chicago is a fantastic city to call home. If you love shopping for one-of-a-kind finds, then check out these local bookshops for unique collections. Also, OneEleven offers luxury apartments in the heart of the city with the best of amenities. For more information, you can contact us anytime.